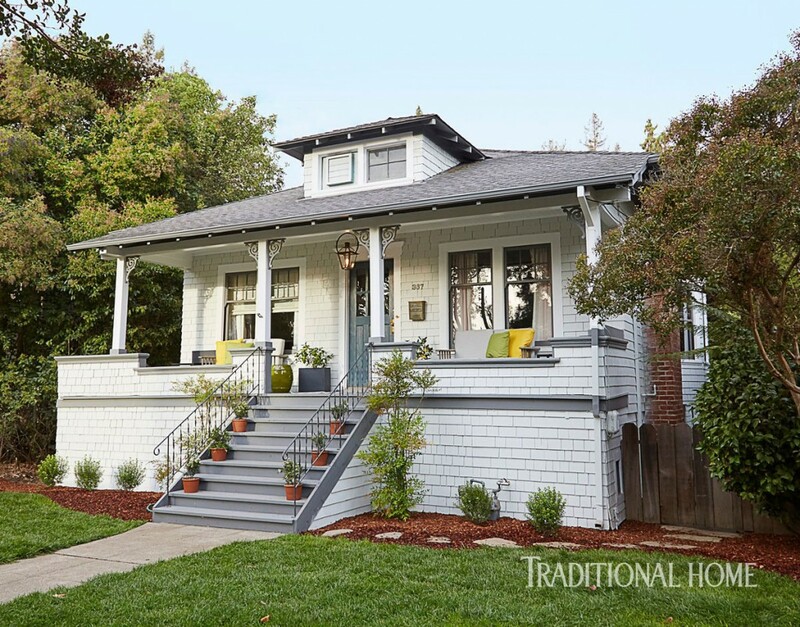 Actress Jenna Fischer, best known for the TV series The Office, recently supervised the design and surprise renovation of her sister’s St. Louis home. While Fischer was in Los Angeles, she and her designer used the technology of Houzz for inspiration and to select materials for the open concept living room, dining room and kitchen redesign. 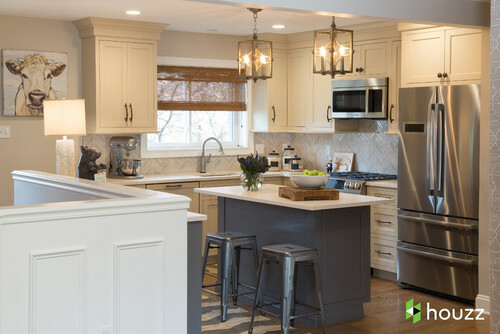 As part of the project, Top Knobs Aspen Twig pulls were used on upper and lower cream colored cabinets in the family’s kitchen, as well as on grey storage cabinets the entryway. The natural. rustic shape and Light Bronze finish of the decorative hardware adds an old-world touch to an otherwise contemporary kitchen design. 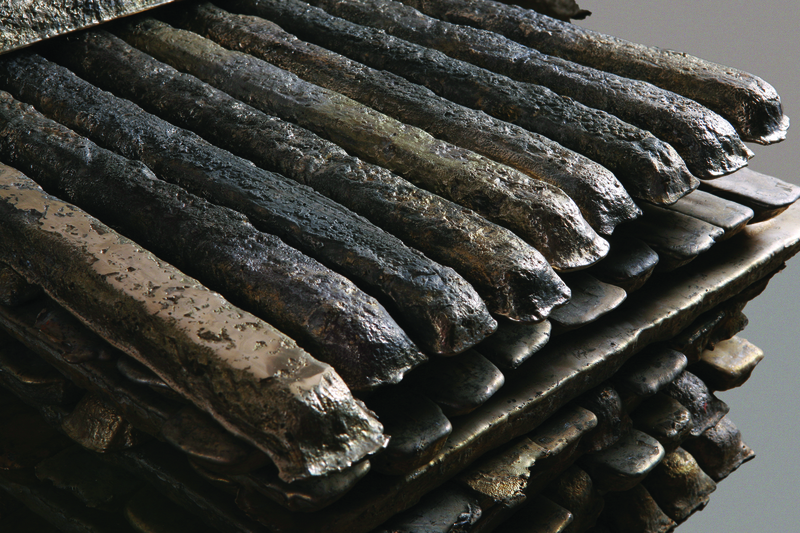 Each solid bronze Aspen pull is hand-cast from 90% recycled bronze and hand-finished for a beautiful, elegant style. 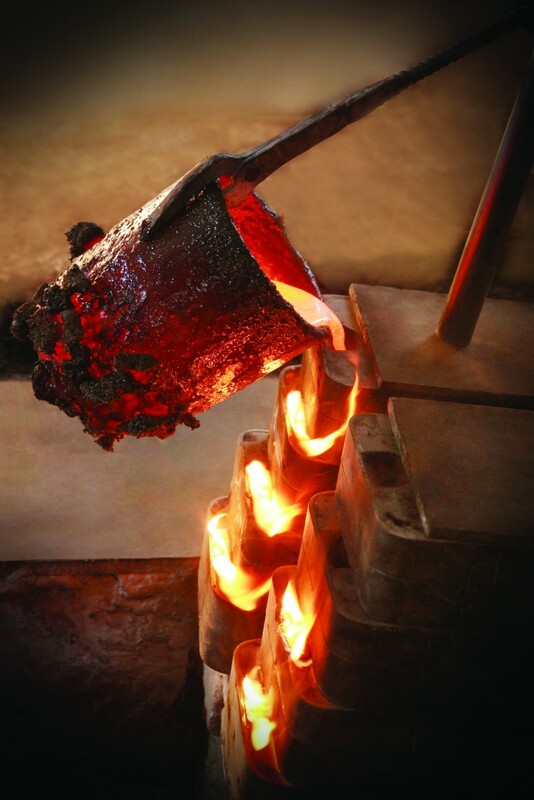 Made with solid castings of artisan grade bronze, it is quality in the palm of your hand. Aspen Twig pulls are available in 3 1/2″, 5″, 8″ and 12″ lengths. 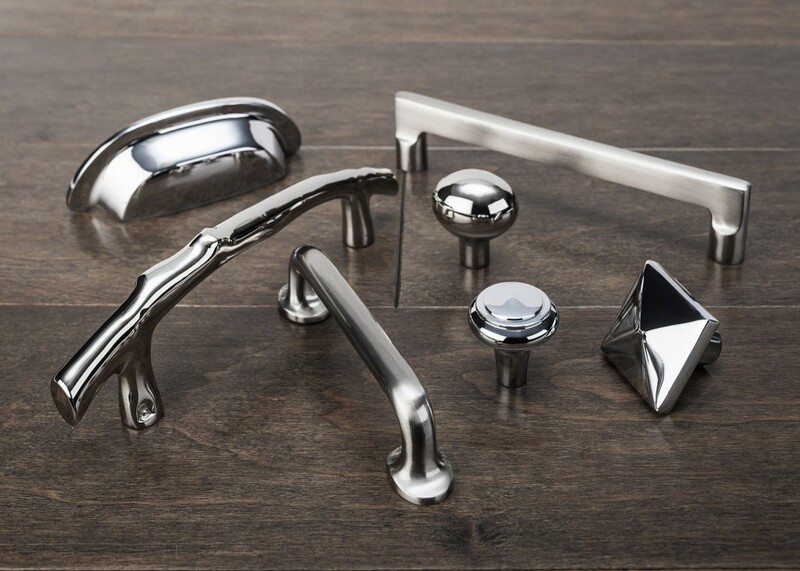 Eight finishes complement nearly any color scheme: Light Bronze, Medium Bronze, Mahogany Bronze, Silicon Bronze Light, Brushed Satin Nickel, Polished Chrome, and Polished Nickel. A video of the complete Houzz project and kitchen renovation including Top Knobs is available below. For more Top Knobs news and projects, stay connected on Facebook, Twitter, Pinterest, and Instagram. In Napa Valley, California 22 designers transformed three properties on historic Randolph street to be part of the 2015 Napa Valley Showhouse, held in conjunction with and benefiting the Napa Valley Film Festival. Traditional Home Magazine gave readers a tour of the homes, including the project “267 Randolph Street” where Top Knobs decorative hardware was featured. 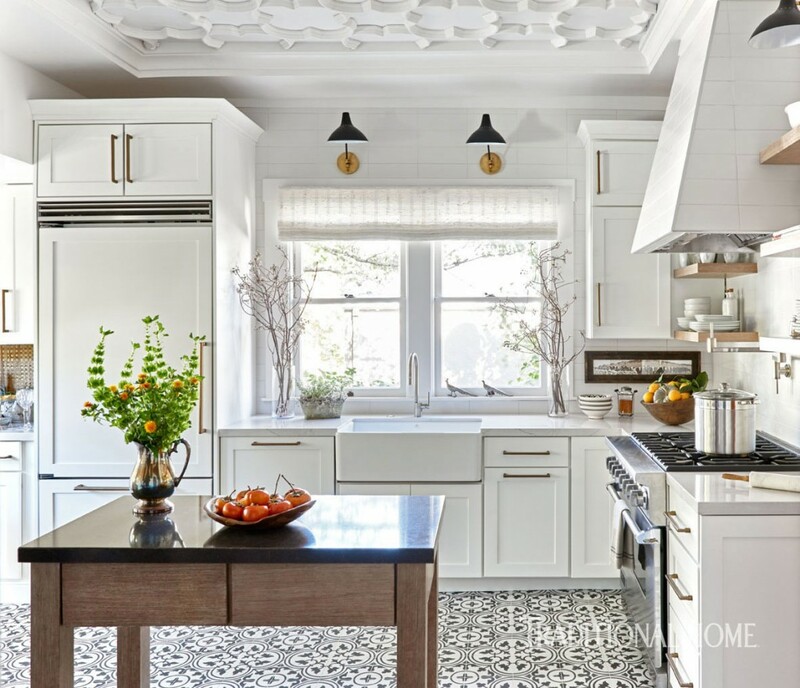 In the kitchen and breakfast area, designers Lori Gilder and Rebecca Reynolds collaborated to create a bright design that played off the popular subway tile installation. “A crisp white backdrop was the ideal canvas for building the layers of this classic yet modern kitchen,” says Lori Gilder. 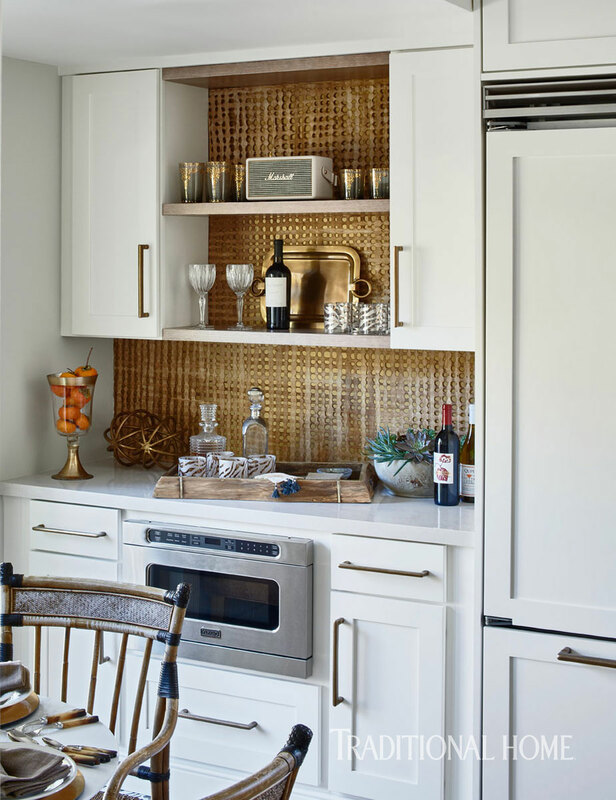 The space efficient White Shaker-style cabinets are completed with Light Bronze finish flat sided pulls from Top Knobs Aspen collection of hand finished, solid cast bronze cabinet hardware. 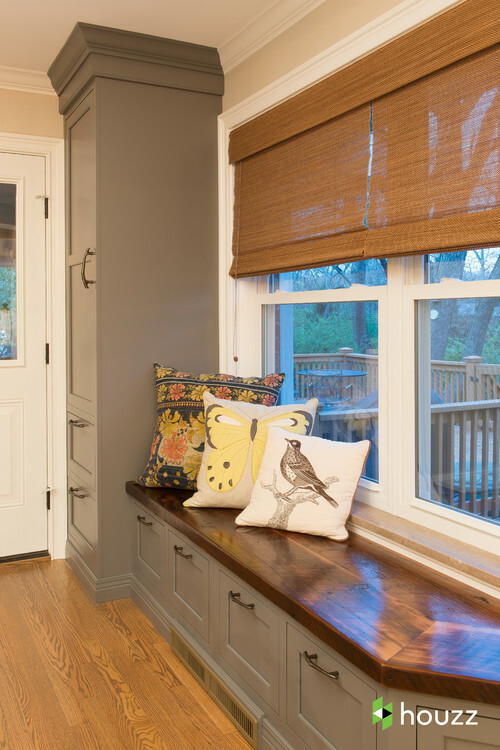 Photos courtesy of Dustin Peck, Matt Sartain and Traditional Home Magazine. View the entire project here. Stay connected with Top Knobs on Facebook, Twitter, Pinterest and Google+. 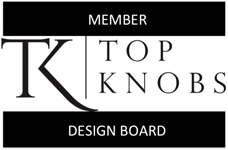 Plus, find out more about the complete line of Top Knobs decorative hardware products on www.topknobs.com. The inaugural KBDN Design Awards winning projects featured today’s top kitchen & bath design trends, and Top Knobs cabinet hardware took center stage! Featured in six winning projects, Top Knobs helped contribute to the expansive storage capabilities and beautiful metal finishes that were common in so many of the winning projects seen below. In the Kitchens Over $100,000 category, a 440-sq.ft. 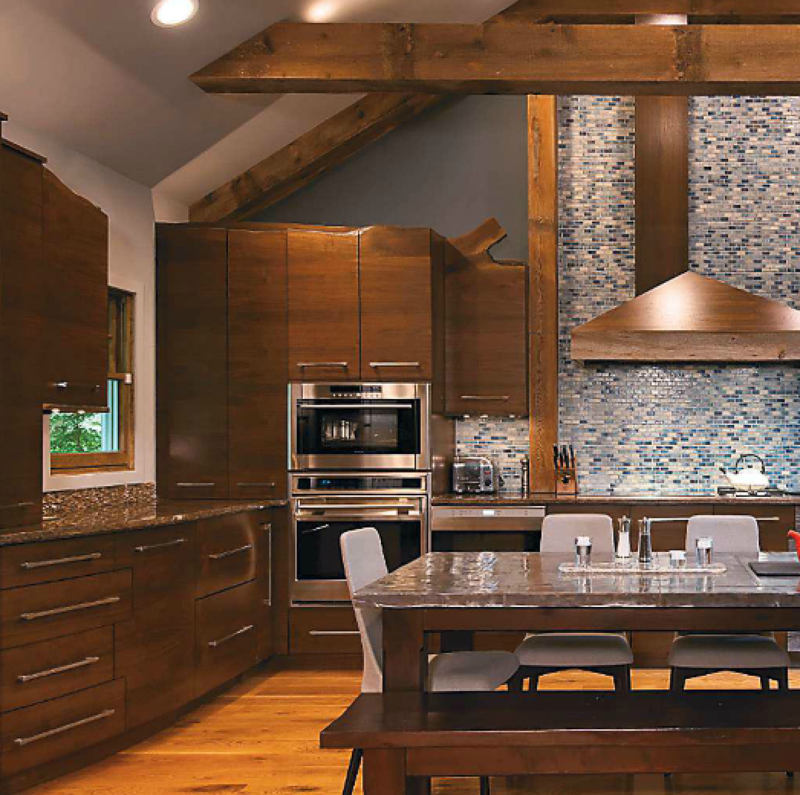 wood themed kitchen by Stimmel Consulting Group, Inc. in Ambler, PA took the silver prize. 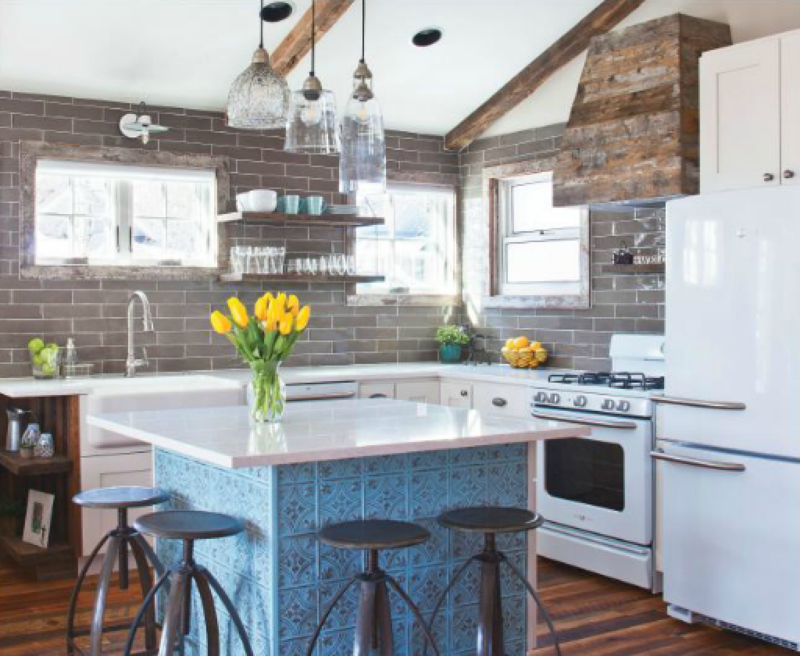 The kitchen featured natural, earthy elements and reclaimed barn wood for an out-of-the-ordinary natural look. The reclaimed wood custom cabinets were finished with Brushed Satin Nickel pulls from Top Knobs for a clean shine that left the kitchen with a modern look and feel. Previously a horse carriage storage shed, the bronze winner of the Under $50,000 Kitchen is a historic building in Crested Butte, CO. The building owners chose to restore the carriage shed and transform it into a vacation cabin rental with a modern twist. 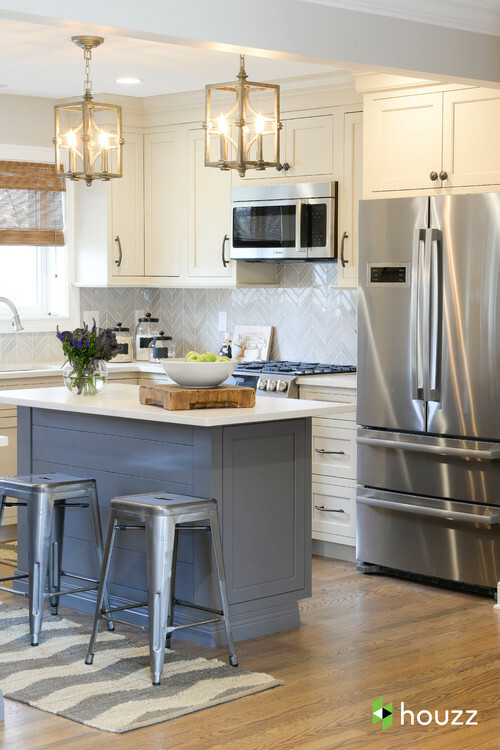 Light colored cabinetry complete with Top Knobs Pewter Cup Pulls off-set the darker elements of the room, including a reclaimed oak floor and backsplash. 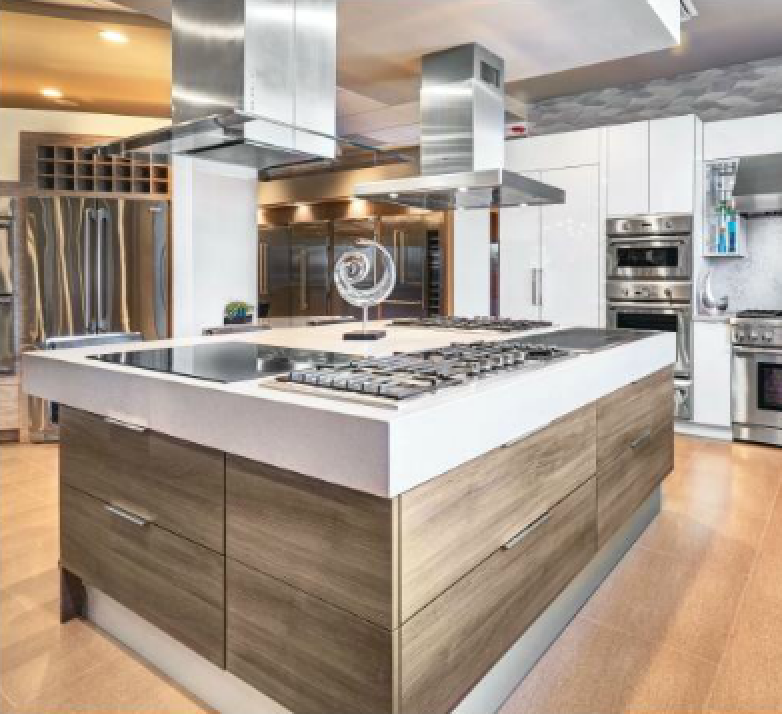 In the Kitchen Showroom category, Nar Bustamante Fine Carpentry in Carmichael, CA took silver for using new materials in a distinct way. Nar Bustamante was challenged with using corporate approved colors to achieve a warm, luxurious and modern look while showcasing his clients’ stoves and stone. Pewter Pine cabinetry added a contrast against the white and stainless appliances which were completed with Top Knobs Mercer Tab and Appliance Pulls. Nar Bustamante Fine Carpentry also took home the bronze in the Master Bathrooms under $30,000 category for their minimalist bathroom project. The owners of the bathroom wanted to take advantage of the natural light in the shower area while still ensuring their privacy. This natural light spills over into the bathroom vanity which is made up of pure white quartz and rift white oak, finished off with Aspen and Europa pulls from Top Knobs. 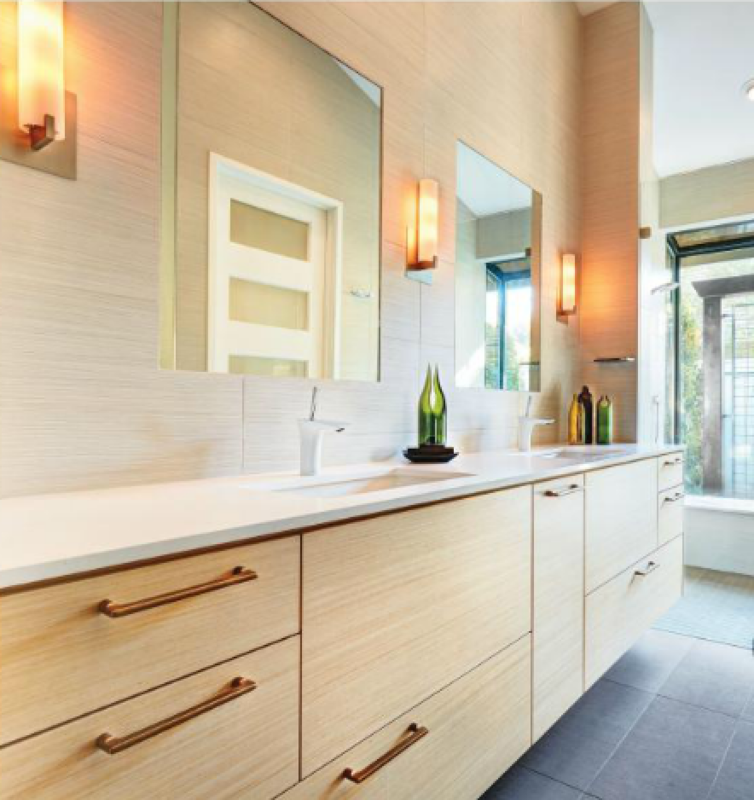 Also a bronze winner in the Master Bathrooms under $30,000 category, designer Sara Lee devised a new floor plan that expands the owner’s bathroom by nearly 30 square feet. 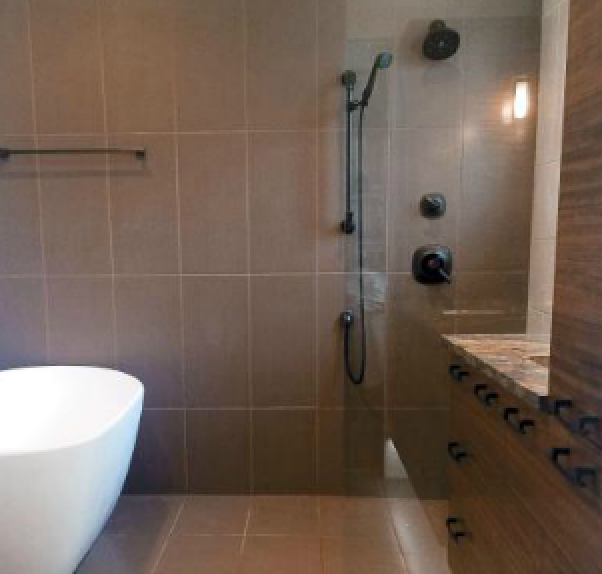 The zen inspired bathroom featured a standing tub with a waterfall faucet and a separate shower space. A custom vanity topped with marble granite and a widespread faucet was completed with Oil Rubbed Bronze pulls from Top Knobs. Last but not least, Nar Bustamante Fine Carpentry won another bronze award in the Powder Room category. The unique space combines a rustic, industrial and luxury look to create an eclectic design. 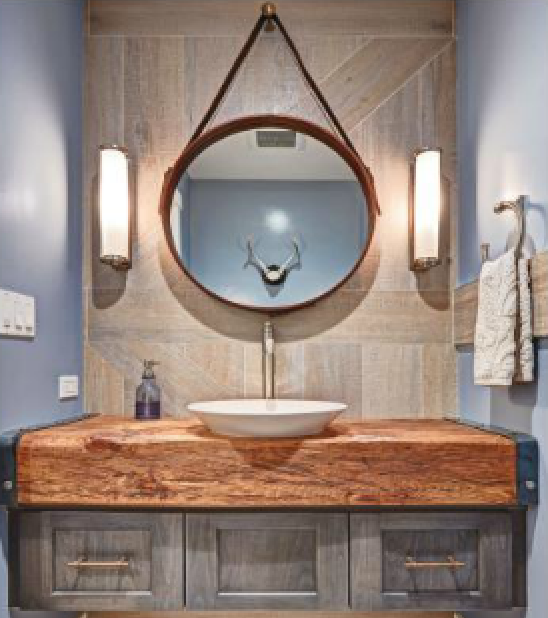 The room features a mix of reclaimed wood, steel and modern fixtures including a vanity made up of a reclaimed wooden slab. To complete the rustic look, the vanity includes Top Knobs 3″ Bit Pulls in Patina Rouge. Congratulations to all of the winners, and thank you for using Top Knobs! To view the complete list of winning projects, check out the August issue of KBDN Magazine here. 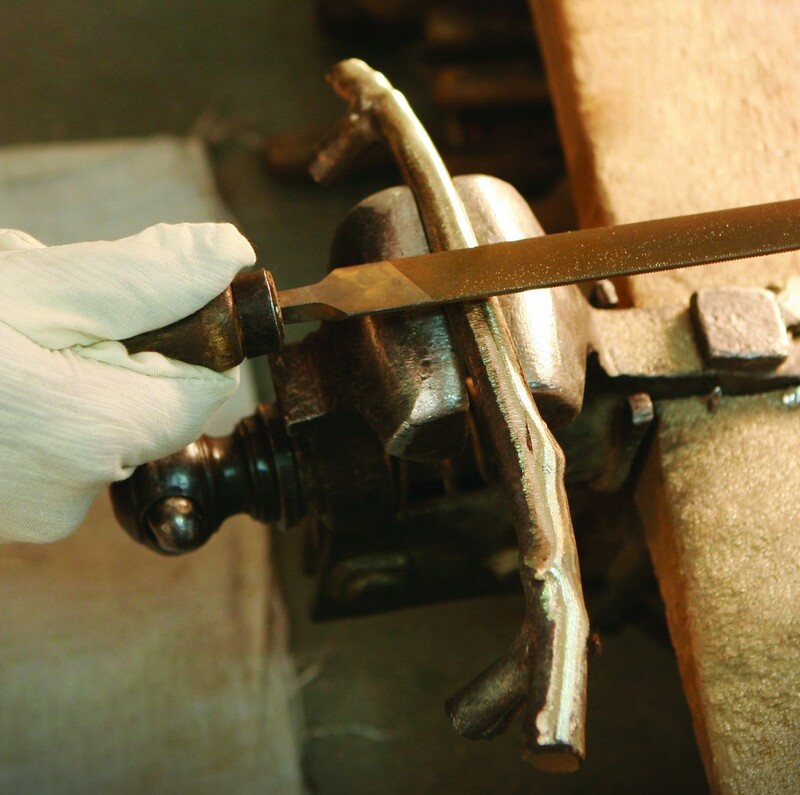 Top Knobs strives to offer designers decorative cabinet hardware that’s crafted with tradition and built to last. That’s where the Aspen and Aspen II Collections come in. Both are created from 90% recycled bronze and hand-finished for a beautiful, elegant style at an affordable price. Raw bronze, the beginnings of the Top Knobs Aspen Collection. What began 5,000 years ago as the standard for creating art, jewelry and armor has become the standard of excellence. 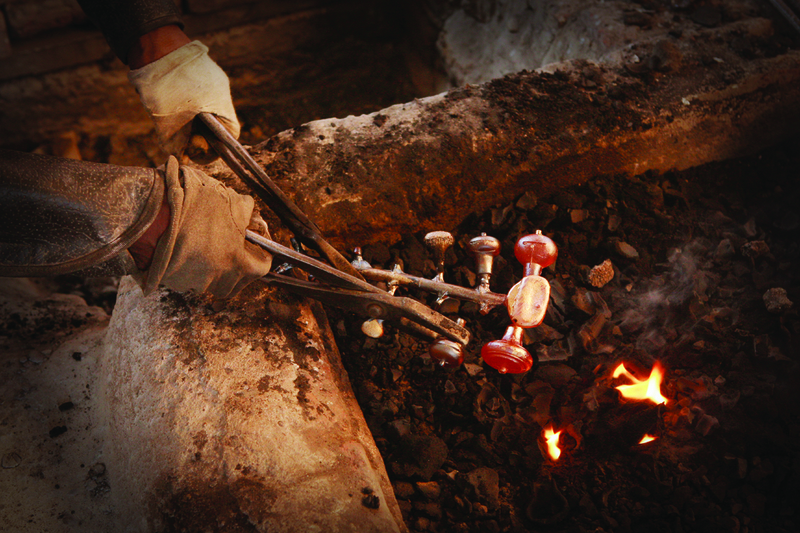 Intricate copper formulas and traditional casting techniques are infused into each handcrafted Top Knobs design. Each piece is coated with a proprietary sealed finish that helps Aspen’s light patina and natural distressed look stay protected from age and wear. 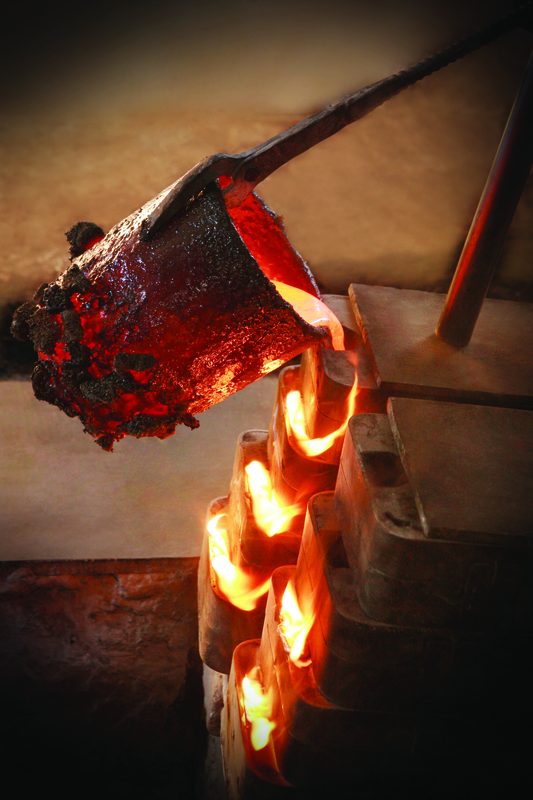 Every Aspen piece is hand-cast and hand finished, which accentuates the one-of-a kind look and feel. Made with solid castings of artisan grade bronze, the quality of Top Knobs can be felt in the palm of your hand. Available in a variety of Old World inspired shapes – twig pulls, button knobs, cup pulls, square knobs, rounded pulls, flat sided pulls, peak knobs, rounded knobs, egg knobs and decorative backplates in an assortment of shapes – Aspen and Aspen II fit many decorative styles. For traditional spaces, the Aspen Collection is a match in four finishes: Light Bronze, Medium Bronze, Mahogany Bronze, and Silicon Bronze Light. 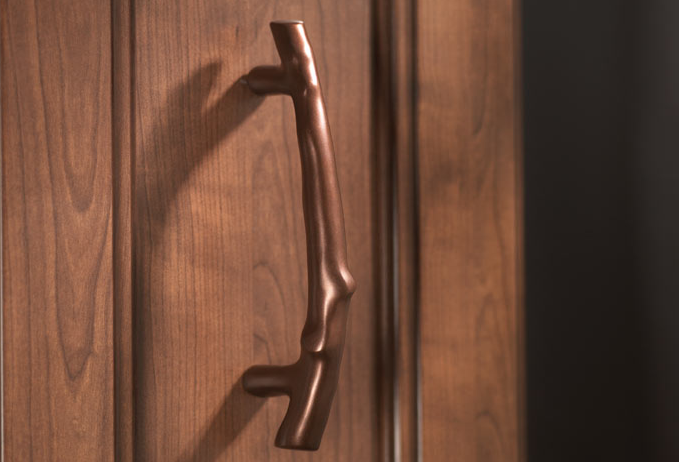 For more transitional spaces, the Aspen II collection includes the same handcrafted cast bronze designs in three contemporary plated finishes: Polished Chrome, Polished Nickel and Brushed Satin Nickel. Visit www.topknobs.com to view the entire Aspen and Aspen II Collections.